Incoming freshman students to Georgetown High School are invited to our first annual Eagle Camp. 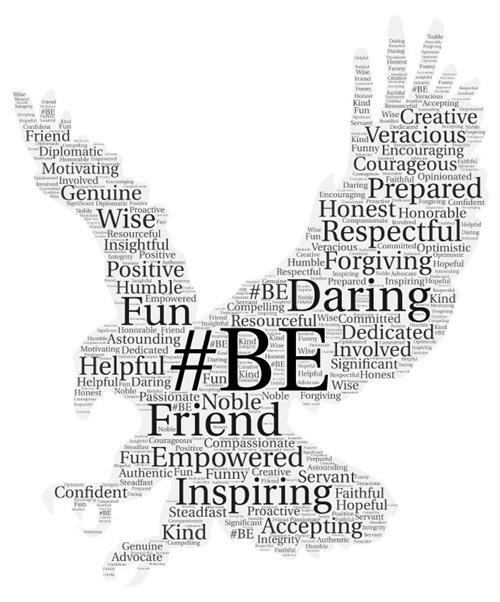 Students will participate in team building activities, learn more about GHS and what to expect as a freshman, and discover what it means to be an Eagle. We are excited to meet and get to know our new Eagles! Please click on the headline for more information. The last GHS Colorguard Tryout Meeting will be held on Thursday. April 25th. Please click on headline for more information. Please join us at Benold MS on April 15th to learn more about Georgetown ISD Math Pathways in middle school. Click on the headline for more information. In preparation for the 2019-2020 school year Baylor Scott & White will hold their annual physicals on Saturday, May 18, 2019. Please click on the headline for more info. GISD Guidance & Wellness Department presents Co-Parenting and Parental Alienation seminar with specialist Wendy Perry. 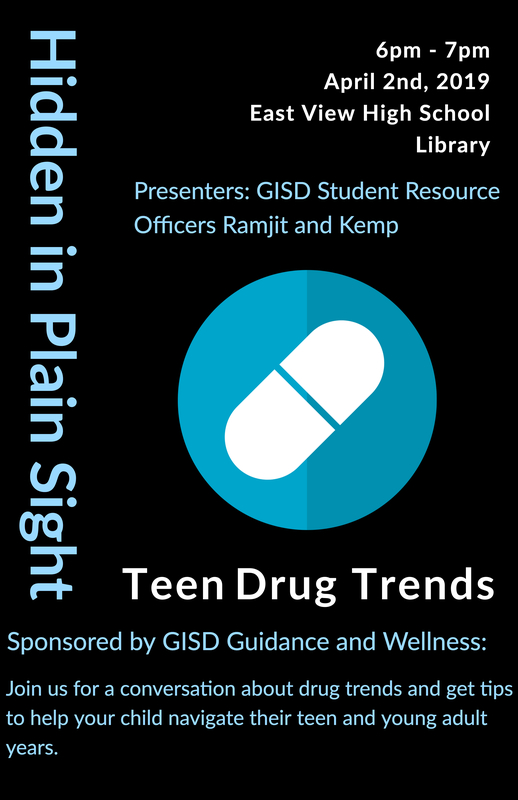 Join us for a conversation about drug trends and get tips to help your child navigate their teen and young adult years.